Between spring and summer, here comes the rainy season in Japan. During June, you will find many days either cloudy or rainy. Almost everyday is uncomfortably humid. 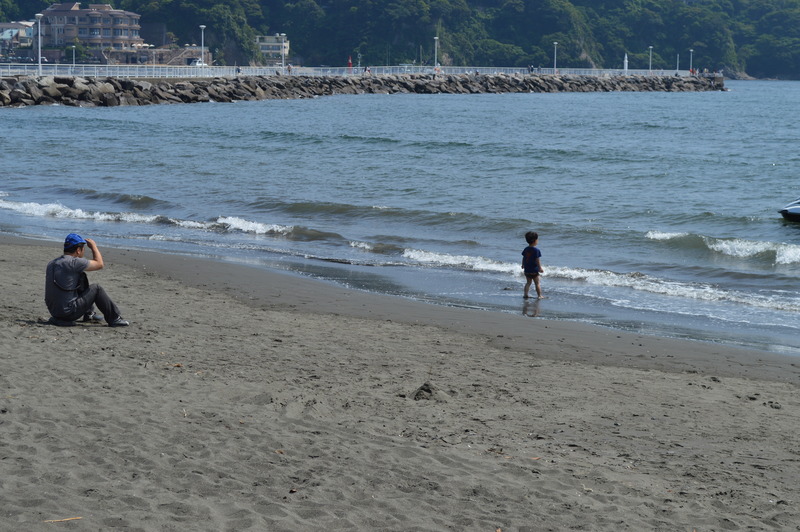 However, beach in Enoshima, south to Tokyo and takes 60 mins.+ by train, seemed that they forgot the upcoming unwelcome season today. Locals have started building beach houses for summer already. 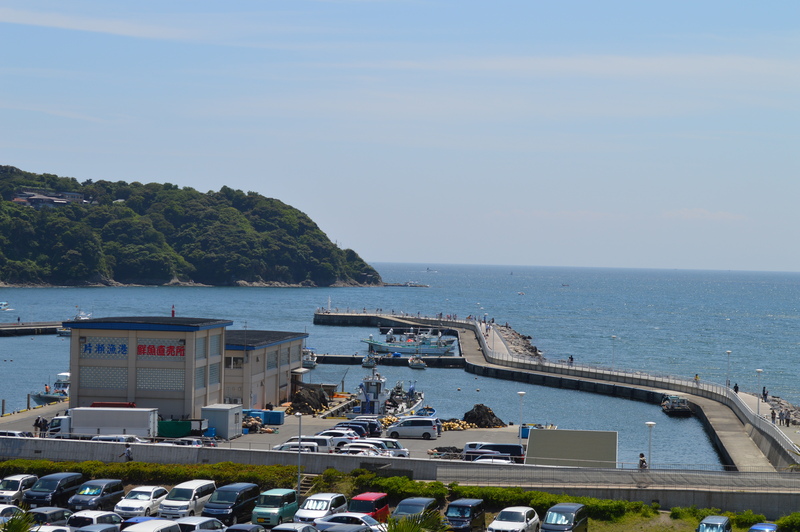 Swimming can be enjoyed here from July. 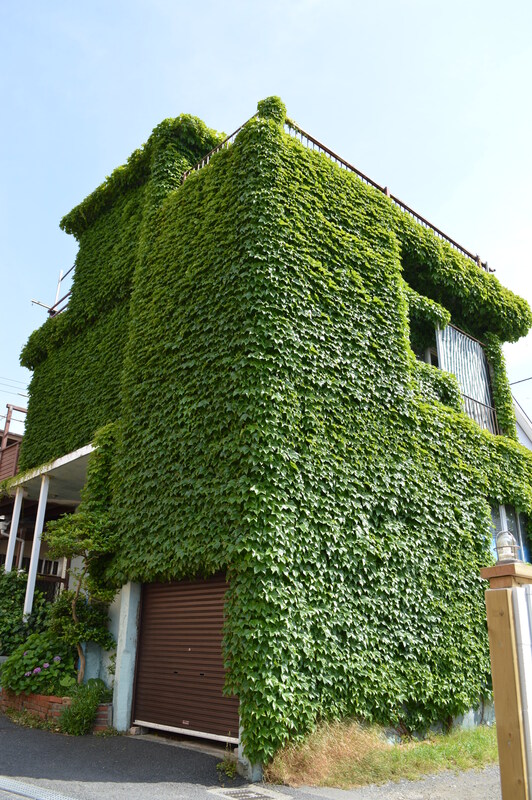 Ivy covered house can be found around this shop.